This is one of those issues that most people probably won't know about until it happens to them a couple of times, then it will drive you crazy until it's fixed. 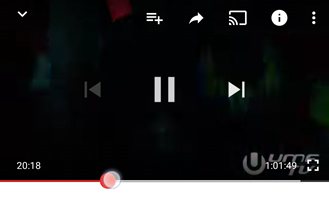 To explain, previous versions of YouTube allowed users to interact with the seek bar while videos were in compact mode (i.e. a video page in portrait orientation), even if the player controls weren't visible. That might not seem like a big deal, but if you tap close enough to the seek bar, possibly while trying to bring up the player controls or expand the info section for a video, you may accidentally skip to another point in the video. Version 12.01 fixes this issue by linking the seek bar's responsiveness to the player controls. Now you have to tap the video to bring up player controls before the seek bar can be changed. – Thanks, Eduardo Pratti. YouTube is pretty good at showing us new and previously undiscovered content, be it through recommendations or the trending feed, but not all of them are gems. It's not the end of the world if you open a video to find that it's basically garbage, but then you've wasted a few extra seconds and now that video might slightly taint your watch history and future recommendations. It looks like YouTube is experimenting with a solution that should make the experience a little more convenient. A new line of text describes an interaction where users will be able to long-press on a video thumbnail to see a preview. According to this tooltip, it will only work on the Home and Trending screens, which makes sense because those thumbnails are actually large enough to animate. Imagine trying to get much out of those tiny thumbnails on the search results. This single line doesn't give away any other notable details like what it will look like and whether or not users will have to keep holding on the thumbnail after the preview starts – let's hope not. Music videos are a massive part of the success of YouTube – so much so that there's an app dedicated to watching them. (Hey, it's not like MTV plays videos back to back anymore.) 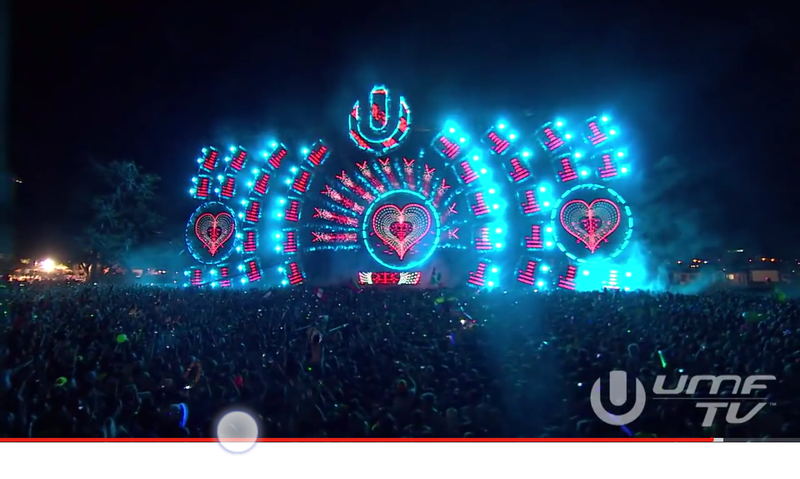 Many musical acts will also use YouTube to promote their upcoming live shows, but this is usually done by placing links in the video description where they won't be seen, intrusive annotations that don't even work on mobile devices, or the recently supported End Screens, which aren't bad except that they are also easily missed. Now it looks like YouTube might be working on a new interface to make concerts and other types of events easier to promote and discover. A pair of new layouts have been added to display dates for ticketed events. The layouts aren't particularly exciting, containing spaces for the dates and a pair of text fields for a name and basic description. They also feature a "ticket" button, which will probably send people to a place where they can book tickets. The YouTube app continues to lack an official and widely available feature for users to skip forward or back by small increments in videos. For brief spans of time, various methods have been available to small subsets of users – even me for a few days – but none of them have been allowed to stick for long. Nevertheless, it's pretty clear that a method dubbed Quick Seek is likely to roll out to users at some point soon. Why the follow-up? Up until now, Quick Seek has been strictly about 10-second jumps in either direction. Whether or not that's the best amount of time to skip around could probably be up for debate and certainly depends on the situation, but there is now a set of strings that suggest that amount may not be fixed. There aren't any indicators that users will be able to configure how far forward or back they will be able to skip, so it's possible this amount will be chosen by the app. Of course, these strings could exist just to cover an edge case – the literal edge of a video – where a user is near the beginning or end and attempts to skip, at which point there may not be 10 seconds of video to skip. Whatever the reason, this relatively small crumb of evidence shows the team is still polishing Quick Seek and hopefully won't have much more work to do. Speaking of crumbs, it was November when we last saw signs of life for YouTube's promised live broadcasting feature meant to compete with Periscope. Well, there's a new line of text... Here it is. This string could be a clever tip of the hat to hint (through our teardowns) that this feature is ready to launch, or maybe it's just another bit that leaked into the app and the launch is still a long way off. As far as I can tell, it's not actually live yet.